Coupons valid until December 15, 2018. May redeem multiple coupons per person. Coupons redeemable starting September 20, 2018. 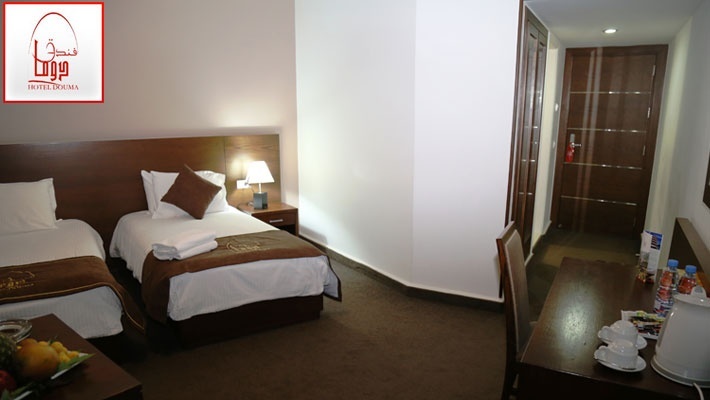 Coupons can be combined for maximum 3 consecutive nights. Check in at 3 PM, Check out at 12 PM. Extra beds are available for an extra $30 charge. Kids under 5 years of age can stay for free (using existing bed). Excludes Public Holidays. Excludes alcohol & argileh. Reservation required 24 hours prior on 06 520 202/6, quote Gosawa coupon. Cancellation Policy: reservations must be cancelled 48 hours in advance, otherwise coupons are considered as used. Coupons must be printed. No carry over. VAT included in price. Standard terms & conditions apply. Escape into a relaxing accommodation with breathtaking sceneries and delicious delights! 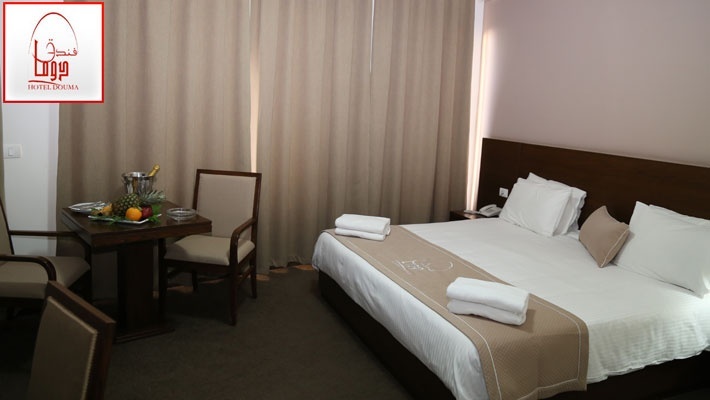 Benefit from a One Night Stay with Breakfast and Dinner or Lunch for Two at Douma Hotel, starting from $99 instead of $180. 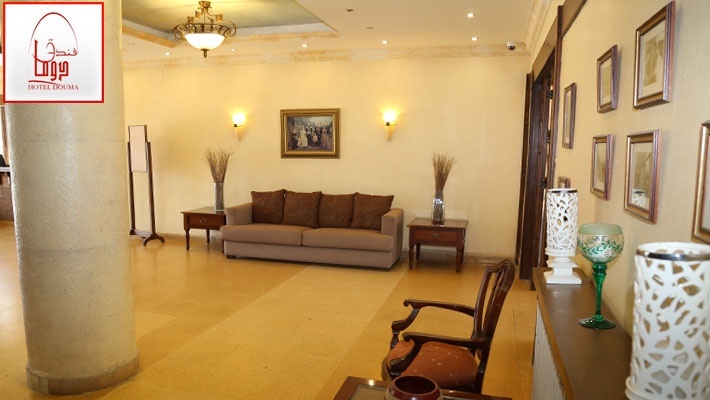 Your stay will definitely be a memorable one! 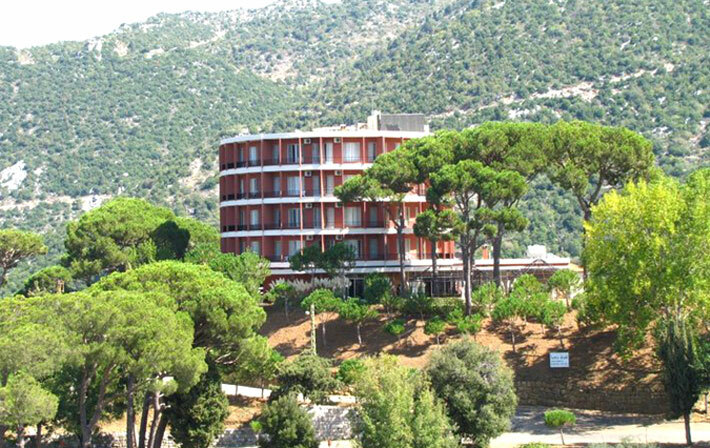 Douma Hotel is located on a mound overlooking the red roofed town of Douma, one of Lebanon’s most beautiful villages. 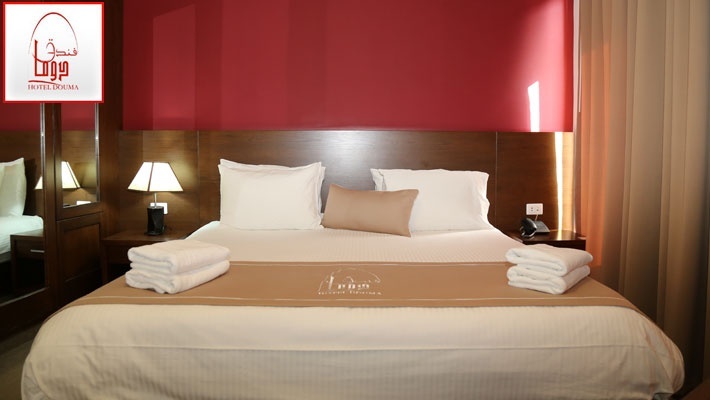 The hotel is composed of 36 rooms and 4 suites all tailored to bring you comfort and relaxation. Tour guides are available to take you through a nature walk into the mountains and valleys, revealing to you the beauty of the sceneries. Children playgrounds and courtyards are available to keep your kids happy and busy throughout their stay, in addition to basketball, volleyball and tennis courts. You can chill in the hotel's cozy lounge bar by enjoying a drink while watching the breath taking sceneries offered by the unique location of the hotel. Groups can choose between playing cards, “Tawla”, chess or just meeting around the TV. You can also enjoy your meals in an Oriental-European restaurant serving delectable dishes. 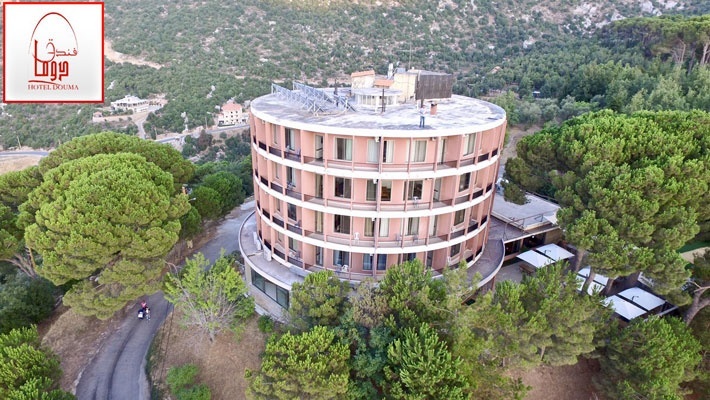 Whether you’re looking to dive into history and explore the historical sites, churches, the old souk or the heritage preserved traditional houses, or you’re looking for adventures and eager to enjoy outdoor activities, then Douma Hotel is the place to be!